New, legally enforced standards, effective from 1 January 2018. All Europoean Pharmacopoeial texts included. 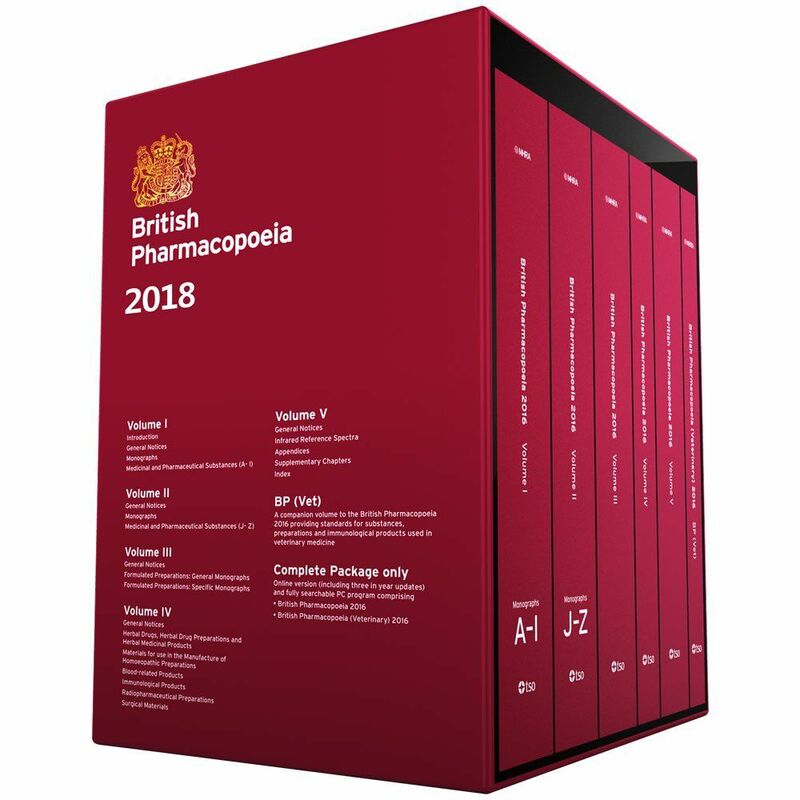 Updated annually, the BP is the only comprehensive collection of authoritative official standards for UK pharmaceutical substances and medicinal products. It includes approximately 4,000 monographs which are legally enforced by the Human Medicines Regulations 2012. Where a monograph exists, medicinal products sold or supplied in the UK must comply with the relevant monograph. All monographs and requirements of the European Pharmacopoeia (Ph. Eur.) are reproduced in the BP, making it a comprehensive, value-for-money collection of UK and European standards. The standard package includes a printed edition, an online licence and a download for offline use; but other formats and bundles are available. Add the BP Archive option to your standard package and receive online access to all the BP editions from 2014 to date. The British Pharmacopoeia (BP) 2018 supersedes the BP 2017 and becomes legally effective on 1 January 2018. This edition incorporates new BP and European Pharmacopoeia monographs and a significant number of revised monographs. *These single-user licences are granted solely to the designated holder of the product within an organisation. Multi-user licences are available.